Last time, I shared my picks for my 2015 Holiday Gift Guide for Food Lovers. Today, I'm sharing my eights picks for my 2015 Holiday Gift Guide for Cooks. 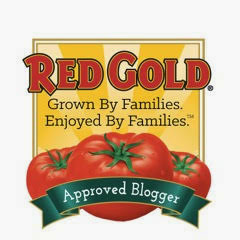 The items I'm sharing are perfect for the cooks in your life. 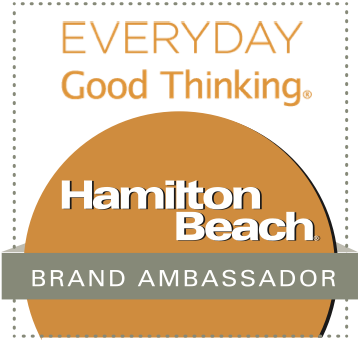 I'm sharing everything from kitchen appliances to a duo of essential cookbooks. There's something in every price range too...so let's get started! (1) Le Creuset Multi Bowl Set. Le Creuset is known for its high-quality enameled cast iron cookware – but did you know they also make a fabulous line of stoneware serving pieces? 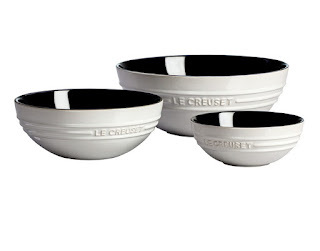 Any cook on your holiday shopping list will absolutely love this set of three dishwasher-safe nested enamel-coated stoneware bowls from Le Creuset. The bowls in this handy set come in three convenient sizes. The 19-ounce small bowl is perfect for serving party dips, the 1-quart medium bowl is perfect for most kitchen mixing duties, and the large 3-quart bowl is a fabulous mixing bowl that also doubles as a pretty serving bowl for salads or side dishes. I also love the fun contrasting black-and-white color scheme of these bowl! This three-bowl set can be purchased at Le Creuset's website and shipped direct to your gift recipient! 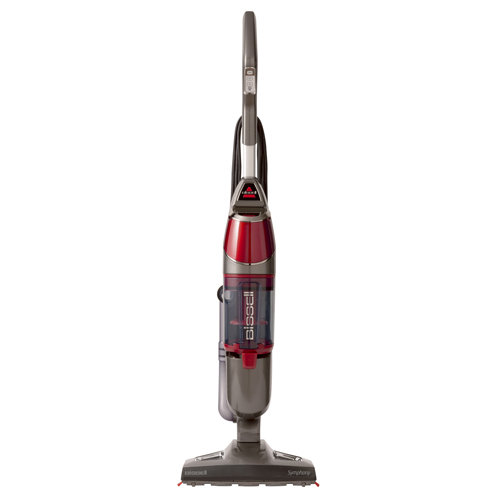 (2) Bissell Symphony™ All-In-One Vacuum and Steam Mop Let’s face it, folks: people who cook a lot have a lot of kitchen and dining room messes to contend with. Any device that streamlines cleanup is a true lifesaver! Enter Bissell’s Symphony, which is perfect for keeping both tile and hardwood floors spotlessly clean. This compact steamer/vacuum assembles in less than 5 minutes and is a powerful cleaner. You can choose to steam your floors, vacuum your floors…even do both tasks simultaneously. Symphony uses the power of steam, so all you need is water -- and no scary chemicals -- to kill 99.9% of all germs and bacteria! It also features a washable, re-usable mop pad. I love using my Symphony, because it truly makes keeping my kitchen and entryway sparkling clean! To purchase this powerful cleaner, visit Bissell's website to purchase directly or find local retailers near you. (3) Boos Block Tenmoku Wooden Cutting Board. 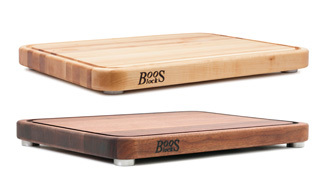 Boos is the cream of the crop when it comes to quality, American-made solid wood cutting boards. Boos offers handmade cutting boards in a wide range of sizes and woods, including the Tenmoku model. This new model comes in both Northern Hard Rock Maple and American Black Walnut, and it is available in two sizes. I especially love the stainless steel feet that elevate the board slightly off the kitchen counter, as well as the convenient juice groove. My board's large 24x18x2 size means that I have a large workspace to work with in my kitchen. Maintenance is easy too! Once a month, I rub the board with Boos Mystery Oil and then top it with Boos Cream Finish with beeswax. The Tenmoku can be purchased at select retailers nationwide. The Boos Store Locator has all of the information you need to locate Boos Block cutting boards near you. 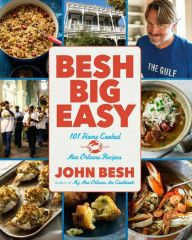 (4) Chef John Besh's Besh Big Easy Cookbook. New Orleans Chef John Besh is one of my most favorite chefs, and his latest cookbook is really fabulous! If your holiday shopping list includes someone who loves to cook authentic big-flavor Cajun and Creole dishes in their kitchen, this cookbook is a must! Besh Big Easy features Chef Besh’s versions of 101 classic New Orleans dishes, including Mamma's Seafood Gumbo and Crawfish Beignets with Tabasco Cream Sauce. 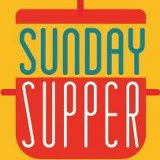 It also includes lots of personal anecdotes presented with Chef Besh's relaxed Southern charm. This cookbook is an excellent resource for making New Orleans classic dishes at home -- even if you live far from New Orleans! Besh Big Easy can be ordered directly from Chef John Besh's website, and it's also available at most major bookstores nationwide. (5) Cuisinart Juice Extractor. Juicing can provide many health benefits, but not all juicers are created equally. 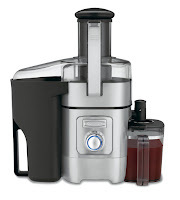 Enter Cuisinart's powerful 1000-watt Juice Extractor! This unit features a wide 3-inch feed tube that can handle whole fruits and vegetables. Its adjustable flow spout eliminates drips and spills, which also reduces clean-up time! The Juice Extractor also offers 5 speeds and a convenient pitcher. Best of all, the motor is exceptionally quiet, so you won't wake up the entire house when you're making your morning custom juice blends! This powerful Cuisinart’s Juice Extractor fits nicely on my kitchen counter, which encourages me to use it several times per week...there's nothing better than fresh juice! Cuisinart's Juice Extractor can be purchased at select retailers nationwide. (6) Fagor's LUX Electric Mult-Cooker. Fagor's LUX Mult-Cooker is a busy cook’s best friend! This convenient, versatile cooker combines four different types of cooking in one handy unit -- saving tons of counter space. Fagor's LUX Multi-Cooker is a pressure cooker, slow cooker, rice cooker, and homemade yogurt maker in one easy-to-use unit! You can even select from 4-quart, 6-quart, and 8-quart versions -- depending on your cooking needs. The Pressure Cooker function is especially convenient. Imagine being able to cook a whole chicken to juicy perfection in just 15-20 minutes! 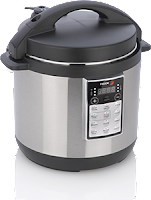 I use my LUX Electric Multi-Cooker at least once per week – especially on busy weeknights. Fagor's LUX Electric Multi-Cooker can be purchased at Fagor's website or at a store near you! 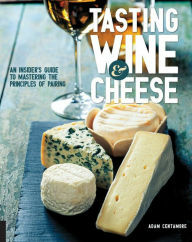 (7) Tasting Wine & Cheese Guide Book. Wine and cheese is a classic party appetizer for a reason…but sometimes knowing which cheeses to serve with which wines can be really confusing! Tasting Wine & Cheese: An Insider's Guide to Mastering the Art of Pairing takes out all of the guesswork and will ensure your favorite cheese lover…or wine connoisseur…has the knowledge and tools they need to assemble delicious cheese displays and pair them with the perfect wine. The book shares information on different wines that are arranged by categories like sparkling or red. Then, author Adam Centamore shares which cheeses pair best with each type of wine. This well-written book is chock full of practical and easy-to-understand advice. My suggestion? Pair this book with a bottle of wine and a gift certificate to your favorite gourmet market so your recipient can put the book’s advice to good use! Tasting Wine & Cheese can be purchased via Amazon and at most major bookstores nationwide. (8) French Bull Multi Oak Plastket Set. If your holiday shopping list includes a cook that also enjoys incorporating fun design elements, this colorful Plastket set from French Bull is a perfect gift! This gift set includes two hand-woven baskets. 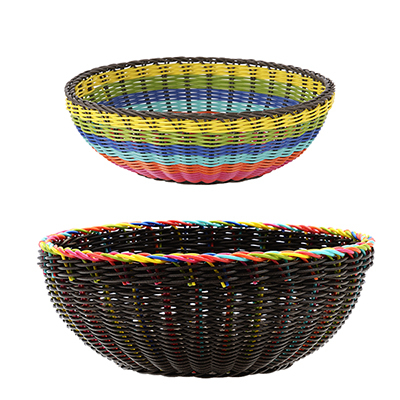 The medium basket features bright primary colors, while the larger basket has a wooden tone with colorful coordinating accents. These baskets are perfect for holding fruit on a counter or serving bread at the dinner table. 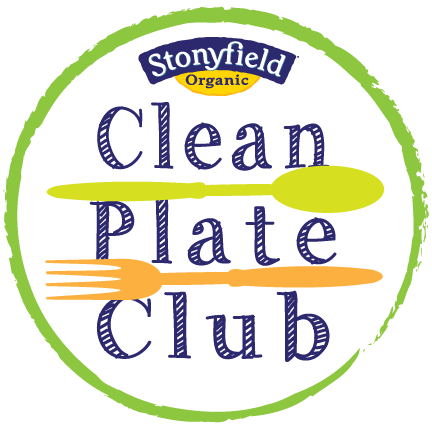 These versatile plastkets can be used year-round, and their fun colors will coordinate perfectly with any brightly colored dishes or decor! This fun Multi Oak Plastket Set can be purchased online directly from French Bull. Disclosure: The makers of the products featured in this gift guide provided me with sample items to facilitate coverage. I never recommend items that I have not personally tried myself and enjoyed. All opinions expressed are solely my own.